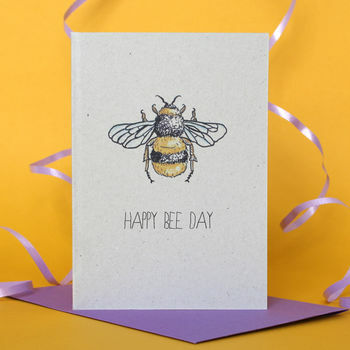 A bee themed birthday card with an illustration by Adam Regester. 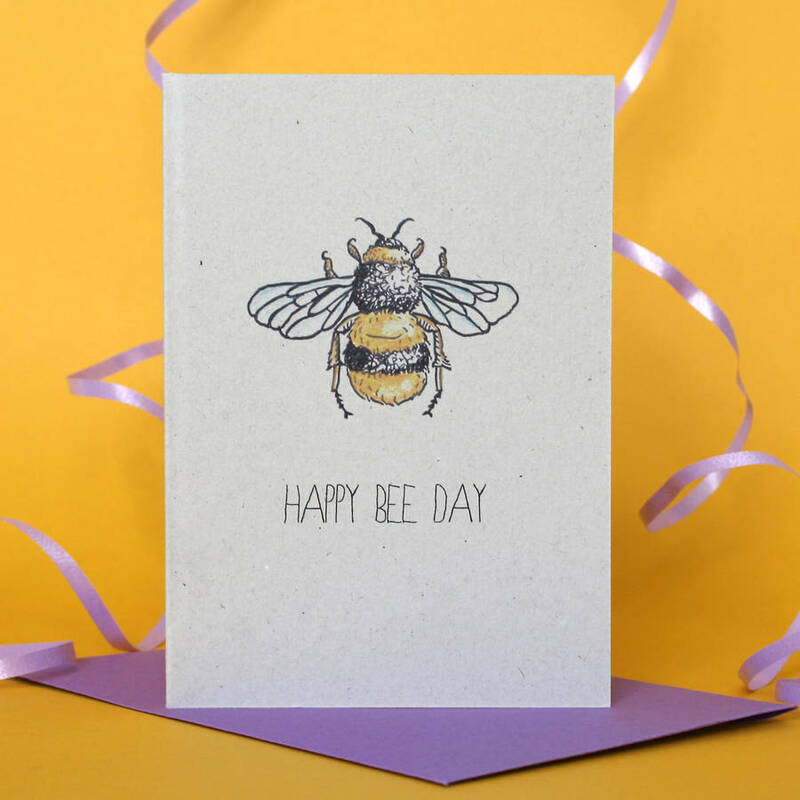 This fun card with a current theme is hand made to order and printed on recycled card. Available as a single card or in packs.